Cheryl is a proud mum who wanted to be able to take her daughter out and about easily and safely. Cheryl has Neurovascular Dystrophy and needs to use a wheelchair. 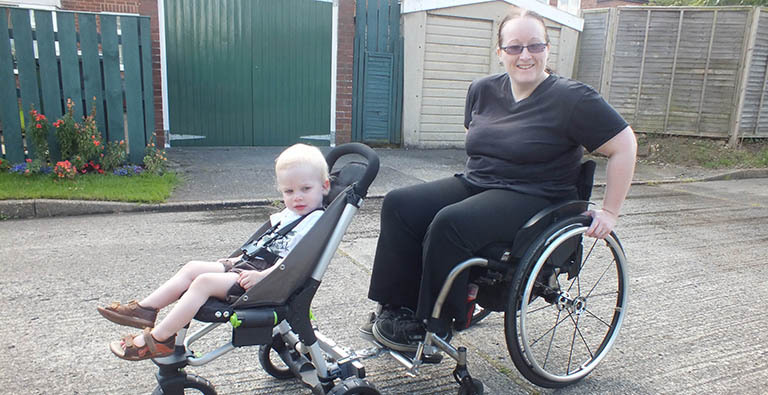 She was having great difficulty controlling her daughter’s pushchair as well as her own wheelchair. We designed and made an attachment which stabilises the pushchair and ensures that it goes exactly where Cheryl wants it to.